The latest piece in my In the Style of… series is a bit of a departure from the typical “portrait” the rest of the series involves. It was created for a group show that opened at The Hive Artists’ Hub on Friday September 28, 2012 entitled Let’s Do It Downtown. This is intended to be the first piece of a mini series with in the over all series, which will be all be in the style of Edward Hopper, and be set in various locations around Medicine Hat. Edward Hopper (July 22, 1882 – May 15, 1967) was an American realist known primarily for his oil painting, but also worked in watercolour, printmaking and etching throughout his career. Great art is the outward expression of an inner life in the artist, and this inner life will result in his personal vision of the world. No amount of skilful invention can replace the essential element of imagination. One of the weaknesses of much abstract painting is the attempt to substitute the inventions of the human intellect for a private imaginative conception. Painting will have to deal more fully and less obliquely with life and nature’s phenomena before it can again become great. 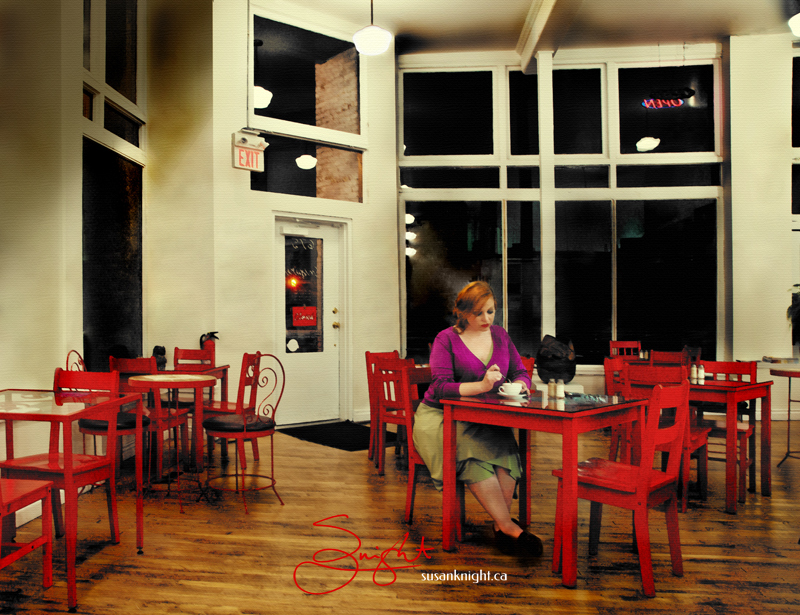 The making of “In the Style of Edward Hopper” from Susan Knight on Vimeo. This entry was posted on Sunday, September 30th, 2012 at 1:18 pm. It is filed under In the Style of . . ., Work. You can follow any responses to this entry through the RSS 2.0 feed.